#1 New York Times bestselling author Laura Numeroff, author of the hugely popular children’s book If You Give a Mouse a Cookie, offers this hilarious parody of her own book for the man in your life. If you give a man a cookie...he's going to want milk to go with it...God forbid he should get it himself. 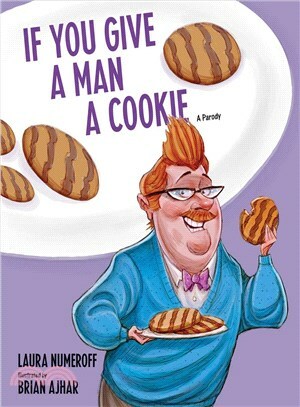 If You Give a Man a Cookie is a woman’s commentary about her helpless man and the chain of events that leads him on a journey from the bed to the bathroom to the couch and back to bed at nightfall.